LOOK, FEEL, AND LIVE AMAZING! LIFT is not just another gym. Our focus is on training clients for real life. LIFT's system of training will help lead to better joint mobility and stability, as well as more efficient movement patterns. This will decrease the potential for injury allowing for better performance. At LIFT we believe in individualizing training programs, integrating a variety of exercises and progressing our clients at their own pace and ability level. MAXIMIZE YOUR TIME WITH INSTANT WORKOUT FEEDBACK. Who is ready to feel better, inside and out? We can not say enough good things about this power couple! 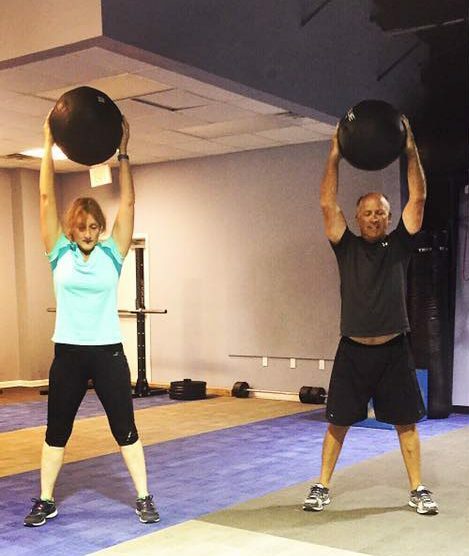 Deb and John Fournet’s commitment to their health and fitness program is awe inspiring. They feel their success can be attributed to the personalized attention they receive at LIFT. They enjoy training together as a couple and feel the endurance training has enhanced their tennis game. One of the things they strongly feel sets LIFT apart from other exercise facilities in the area is the tie in with POLAR to monitor heart rate, zones, etc. They feel that Lift has kept them “in the game”. Thank you Deb and John for being such an amazing couple and for being an example to us all. 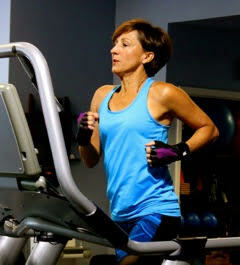 Don’t tell Laurie Hagan your excuses for not working out! Due to a history of orthopedic injuries, surgeries and other health issues, she could come up with many reasons not to push her limits. Yet, she crushes every group and personal challenges we throw at her. She loves being a member of Lift, because our trainers focus on what she can do and not force her into something that would eventually cause more harm than good. She feels that everyone could benefit from such a personalized program. Laurie’s philosophy is “Move or You’re Going to Loose It!” In her line of work, she sees first hand the adverse effects of members of our community who have led a mostly sedintary lifestyle. She focuses on strength, flexibility and endurance to ward off future issues. Warren Duclos exemplifies relentless dedication and commitment to his fitness program! 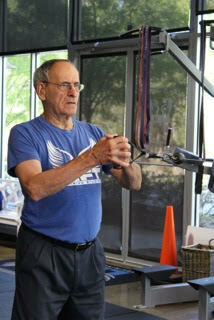 He came to us from physical therapy due to multiple back issues, now there is nothing holding him back. Before Lift, he would be the one have to sit and rest all the time while traveling. He’s now the leader of the pack! Gitte came to us straight from physical therapy after a foot operation. Today she can do things she never thought she could do again due to severe arthritis in her hip, such as sit cross-legged on the floor. She thanks all of the trainers at Lift Training Studios for tailoring her activites to fit her needs and challenge her in a safe manner. As a swim instructor and owner of Northshore Swim, she needs her strength, balance and flexibility to teach both children and adults. Thank you Gitte! It has been a pleasure for us to watch you progress in your fitness journey. What can you expect when you join lift training studios? More confidence than you’ve had in years! We are a private studio for personal training in Mandeville, LA near New Orleans. You won’t be left on your own. During each 30-45 minute session you will be guided through your training by a professional Mandeville personal trainer. We don’t believe in intimidation or overcrowding. Bumping elbows isn’t our idea of fun and it certainly makes it difficult to be productive. We want you to work out in a fun and friendly atmosphere so you’ll be motivated to reach high and achieve your weight loss and fitness goal. The LIFT Training Studios in Mandeville is designed to get you in the best shape of your life. To do this, we need to give ample time to each client. That’s why LIFT Training Studios is by appointment only. We strive to accommodate your busy schedule. After working with over 1000 clients we know what you can achieve by joining LIFT Training Studios and we stand behind both you and our program 100%. Lift Training Studios Group Training is the most effective way to melt fat and tone up fast while training with your peers. This fun and supportive group training for all fitness levels. Tired of not getting the results you want in large classes or croweded gyms? Need a training program designed just for you? 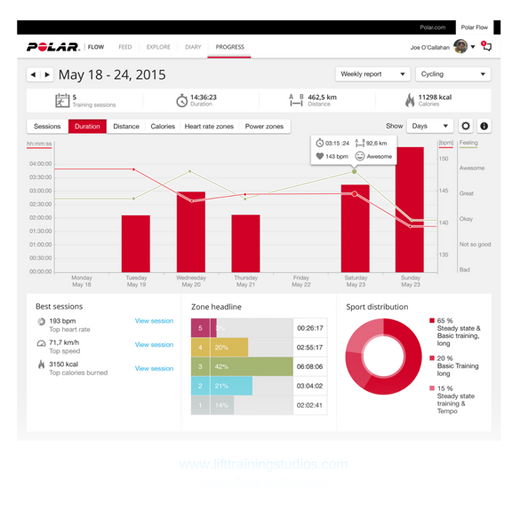 Private sessions with Lift Training Studios are tailored to fit YOUR personal fitness goals. 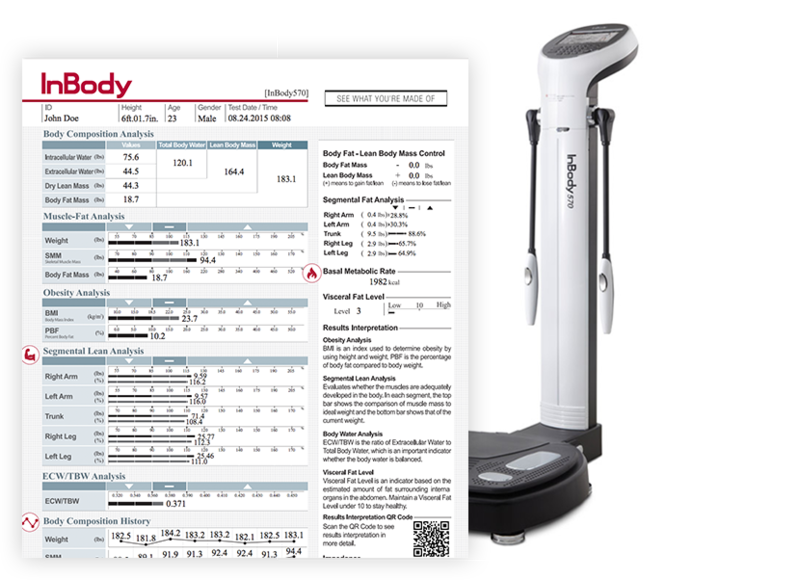 Schedule Your Body Transformation Analysis Today! 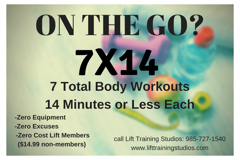 Click, Call , or drop in today to find out what Lift Training Studios can do for you!